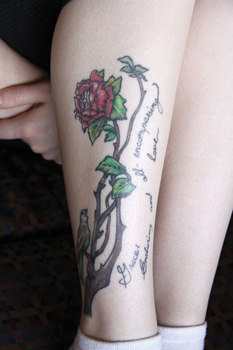 The story Nightingale and the Rose, by Oscar Wilde has been important to Stacy Shields since Grade Five. For Shields this story is meaningful, as the nightingale did everything for one person selflessly. It’s a reminder to be more helpful, even though her efforts may not turn out. 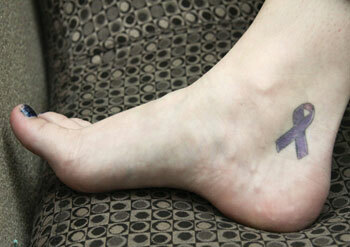 An Alzheimer’s ribbon is tattooed on her ankle — a reminder of her great-grandmother who passed away. Since she lived in England, Fry had not seen her in 10 years when she passed. “She thought I was a tough little girl who wouldn’t let anyone step on my toes,” Fry said. 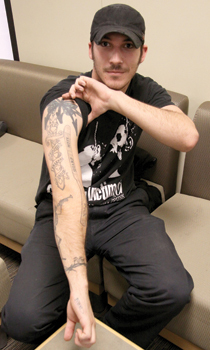 The many tattoos on his arms, back and chest represent specific times throughout his life. “They are permanent, so are the memories,” he said. 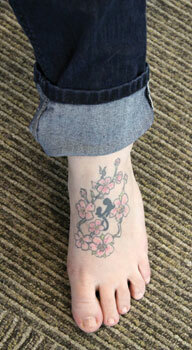 One New Years’, Brittney Horvath and her mother got similar tattoos: both have the mother – daughter symbol, but with different flowers. Horvath has recently developed a very close relationship with her mother, since her dad stepped out of her life. In 2011, Fischer had the line of her favourite song, “the sun doesn’t go down” and butterflies tattooed on her ribs, since both her grandparents passed away within a few months of each other and each had a knack for gardening. Fischer was very close to her grandma, as they had a lot in common, especially music. “She is always with me, because she is on my side,” said Fischer. 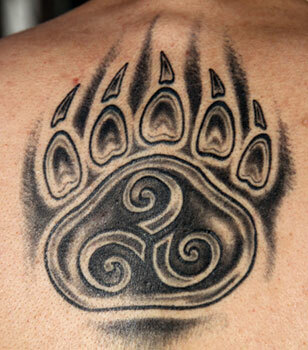 The tattoo of a bear’s paw on his back is there to represent the three stages in life: birth, life, death. Since Deman is known by “Jearbear,” the bear’s paw signifies his nickname. The triskele (a Celtic symbol) is there to indicate the three stages of life. 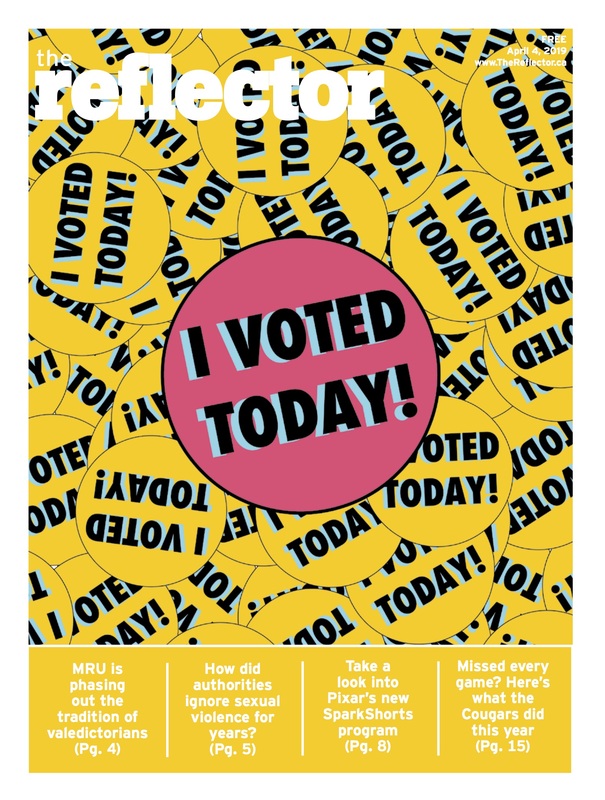 “It’s not so much what the symbol is known by, it’s more of my subjective interpretation of the symbol,” Deman said.